This is the only official web site of Rita Hui. Please contact Rita to report any counterfeit web site! "When I became USANA's first 7 Star Diamond Director, many people assumed that would be where I would stop. But I told them that it was just the beginning..."
DO YOU HAVE A PLAN 'B'? 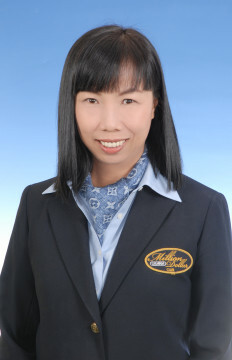 After breaking the record in USANA and become the first 7-Star Diamond Director in 2003, RITA HUI continues to advance and now becomes the world's first 13-Star Diamond Director in USANA in the year 2013! Our Company, USANA, and it's compensation plan, have been voted as the Number 1 Distributors' Favourite for 6 years (97/98-03/04) straight in Network Marketing Today magazine! Many of USANA's products are featured in the Physicians' Desk Reference (PDR), the Compendium of Pharmaceuticals and Specialties (CPS) and the Master Index of Medical Specialties (MIMS). 2004© SMG International Limited. All rights reserved.